It is a chronic heart disease in which the blood flow is obstructed through the coronary arteries that supply the heart with oxygen – rich blood. It is the end result of the accumulation of atheromatous plaques within the walls of arteries that supply the myocardium (the muscle of the heart) with oxygen and nutrients. 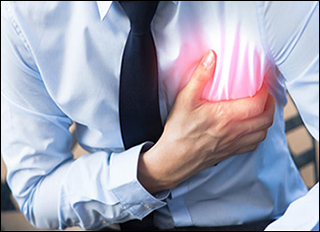 Coronary Heart Disease is a condition that causes the complications such as heart attack, heart failure and myocardial infarction. Heart problems occur mainly due to high blood pressure, diabetes, intake of alcohol, depression and foods in diet. Swelling in ankles, legs and abdomen. Heart does not pump the blood sufficiently throughout the body and then heart failure may occur. Complications such as shortness of breath, dizziness and swelling may occur. This condition occurs when the arteries become so narrow and stop the blood supply to the heart. Due to the deficiency of oxygen in the heart, the cell may die. In this, various complications may occur which involves excess chest pain and difficulty in breathing. It occurs, when the blood clots are formed which can cause difficulty in speaking, loss of balance, insensibility in one part of the body. In this case, there is little blood supply to the brain. This condition is known as ischemic stroke. Due to the deficiency of blood, brain tissues start dying. The condition is similar to stroke but in this case, blockage in blood vessels of lungs despite heart. It occurs when there is a sudden stop of heart beat. There is a condition named as arrhythmias which might cause cardiac arrest, if not treated shortly. Due to heart failure, kidney damage can occur. Heart valve which help in proper flow of blood in a particular direction. Due to the problem in heart, enlargement of heart occurs which also impairs the functioning on heart valves. It can also occur due to heart failure. This may occur when there is abrupt cardiac arrest. This occurs when there is inadequate blood supply to the different parts of the body. It records the electrical activity and rhythms of heart. It is a portable device that the patient wears under their clothes for 2 or more days. It records all the electrical activities of the heart, including the heartbeats. It is an ultrasound scan that checks the pumping heart. It uses sound waves to provide a video image. It involves the use of treadmill or medication that stresses the heart. It is a dye which is injected into the heart arteries through a catheter that is threaded through an artery, often in a leg or an arm, to the arteries in the heart. An X-Ray then detects narrow spots or blockage revealed by the dye. It helps to visualize the arteries, detect any calcium within fatty deposits that narrow the coronary arteries and to characterize other heart abnormalities. In this tracers or radioactive materials are used to show the heart chambers. The material is injected into the vein. It attaches to red blood cells and passes through the heart. In this special cameras or scanners trace the movements of the material. It measures the blood cholesterol levels, especially in patients who are over 40 years old, have a family history of heart or cholesterol –related conditions, are overweight and have high blood pressure or another condition, such as underactive thyroid gland or any condition which may elevate blood levels of cholesterol. 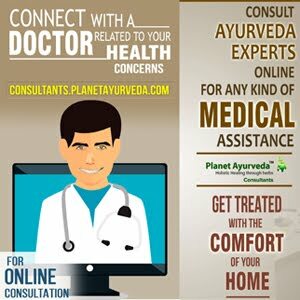 AYURVEDIC VIEW ON HEART DISEASE? HRIDROGA, combination of the word HRID defines heart and ROG defines disease. As stated by Ayurveda heat is evaluated as a main channel for rasa and rakta dhatu. Unhealthy food intake and sedentary life style causes the blockage in the heart. Vikrati of meda dhatu, kapha dosha blocks the way of vata. Aggravation of vata dosha causes pain in heart and other symptoms like cough, fatigue, palpitations and loss of appetite. As per Ayurveda, heart problems are caused due to dhamani praticaya and dhamani kathinaya which are the complications in arteries. Vata dosha is responsible for heart disease. With the help of ayurvedic treatment, healthy diet and exercise, the chances of cardiovascular disease can be minimized. Herbal formulation is a great supporter of the cardiac system. Arjuna (Terminalia arjuna), Ashwagandha (Withania somniferum), Brahmi (Bacopa monieri) and Shankhapuspi (Convolvulus pluricaulis). Arjuna (Terminalia arjuna)- It is useful in the treatment of artery disease, heart failure. It controls high blood pressure and balances the level of cholesterol by decreasing the LDL cholesterol in the body. The bark of arjuna is rich in natural oxidants, saponins, Gallic acid, phtosterols and oligomeric Proanthocyanidin and is used for many heart problems such as angina, coronary artery disease, artery blockage, high cholesterol and blood pressure. It strengthens the heart muscles. Ashwagandha (Withania somnifera) - It has anti-inflammatory and anti-oxidant properties which helps to strengthen the heart muscles. Brahmi (Bacopa monneiri) - It is beneficial to control the high blood pressure in the body. Shankhpuspi (Convolvulus pluricaulis)- Its leaves and flowers are useful to treat the high blood pressure and relieves. 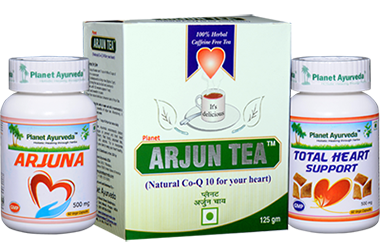 It is a herbal tea containing herbal powder of Arjuna (Terminalia arjuna) with few other herbs which support the heart and heart muscles. It is beneficial to support the healthy blood vessels and the circulatory system. Dosage- 2 cups twice daily. It is prepared by using the standardized extract of Arjuna (Terminalia arjuna). It supports the heart health. It manages the high cholesterol levels in the body. This formulation is very beneficial to treat the heart disease. It used to clear the blockage of arteries and also improves blood circulation effectively. Dosage- 2 capsules twice with plain water after meals.